High capacity absolute filters are manufactured from the highest quality components, under demanding quality control conditions, and are certified to ensure performance in the most critical of applications. The efficiency from 99.97% to 99.999% on 0.3 micron particles. HEPA level air filtration in applications wherein ultra-clean air, increased airflow capacity and energy-savings are critical. 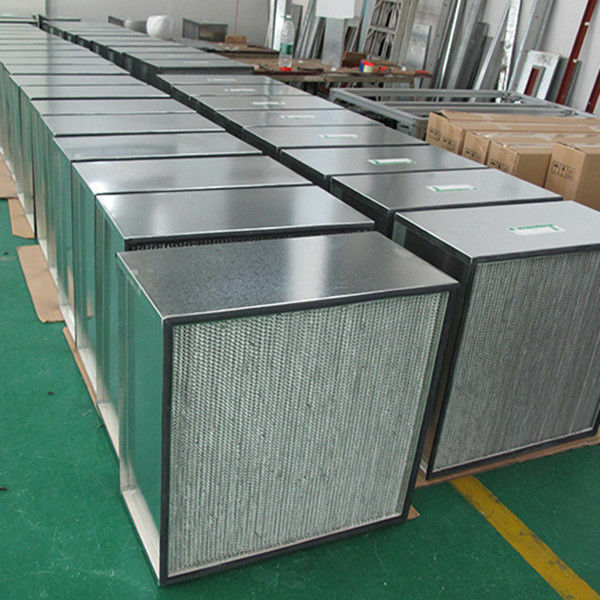 High capacity HEPA filter are mainly used to filtrate the suspended particles in the air with the diameter of 0.3um and below and used for the terminal filtration of all kinds of filtration system. Galvanized steel frame to create a durable, dimensionally stable corrosion-resistant enclosure. Throughout the life of the filter. Safe-edge tapered corrugated aluminum separators to ensure uniform airflow throughout the media pack and maintain pack stability. The edges of the separators are the hemmed for added strength and to protect the media from damage during manufacture, shipping and installation. Micro glass fiber media to provide efficiency to specifited performance values. The media is highly resistant to moistur in high humidity environments. 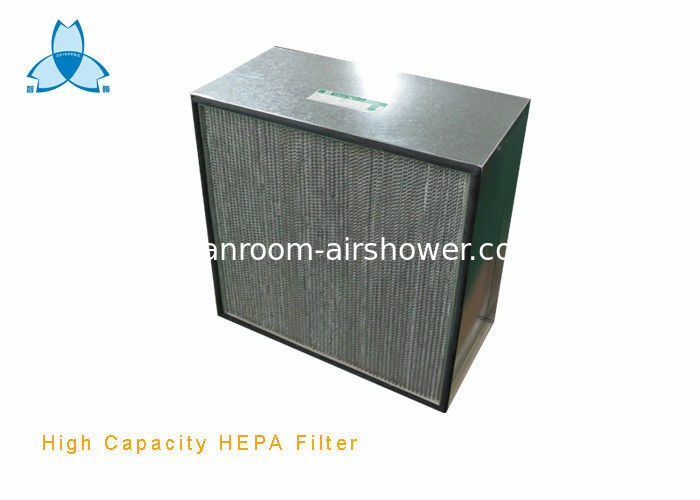 HEPA filters are extensively used in the terminal filtration of the civil or industrial cleansing places in the industries such as electron, semiconductor, precision mechanism, pharmacy, hospital and food, etc., which require relatively high cleanliness factors. It is suitable to filtrate for clean room and clean factory workshop with dust particle diameter less then 0.3-0.5um. 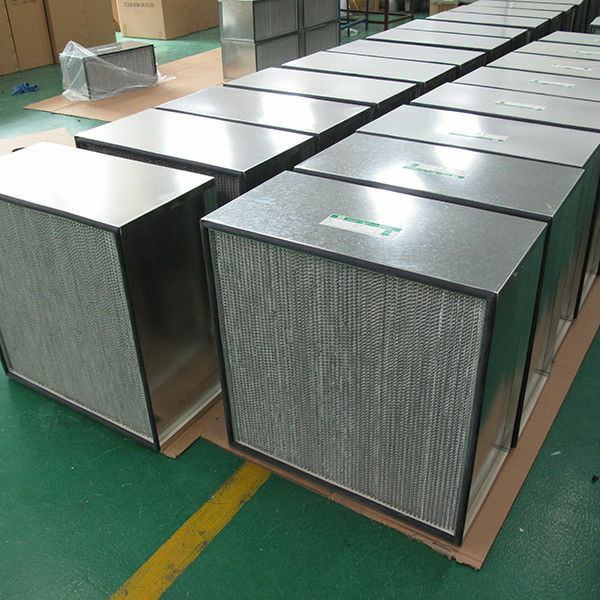 1: The HEPA with aluminum separator is the finally filtration in clean room that use for filter the particles more than 0.3um, and in high airflow environment. 3: The paper / aluminum foil media in 180 degree fold that compost of the wedge layer so that prevented the media damage. the frame can be wooden, aluminum,galvanized or stainless steel. 40% prepayment by T/T at order, the balance of payment before shipment. • Shipping notice or insurance for you after the goods is shipped. • We provide 1 year warranty after goods arrive.